In the Attribute Table there is a field with the diameter and width of the pipe. I want to transfer all the data from this field to a new field. 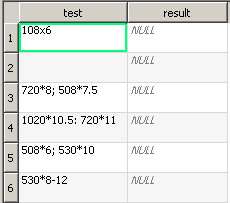 While in one line there can be several values of the diameter and width as shown in the screenshot, I need only transfer the maximum diameter, in the field calculator. 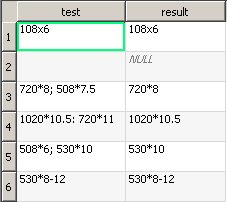 For example - in the screenshot, move to the new field only the maximum values of 1020 * 10.5 in the new field, And the values of 720 * 11 should not be transferred to a new field. Here a contains the value of the diameter part of each pair which is compared with the rest to find the maximum among them. In the expression tab you can just type select_maxdiam("dimensions"), where dimensions should be replaced by your column name containing the data. Not the answer you're looking for? 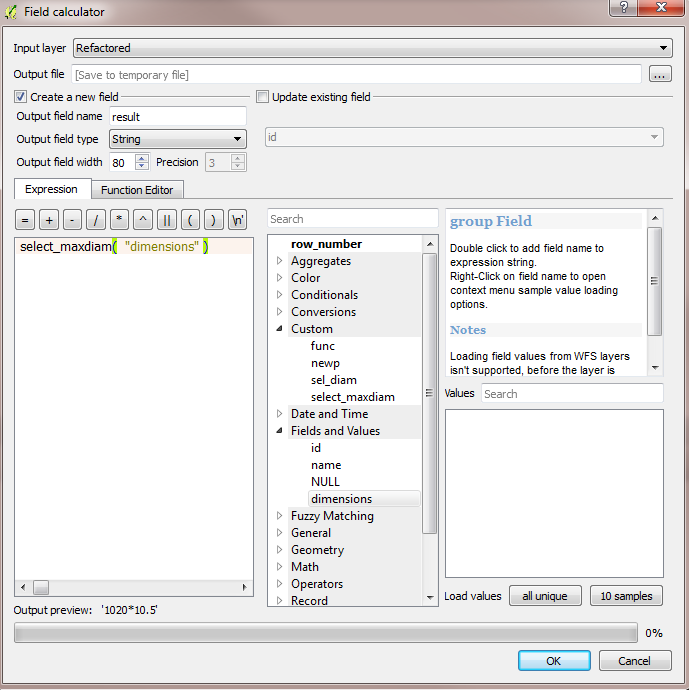 Browse other questions tagged qgis attribute-table fields-attributes calculator or ask your own question. 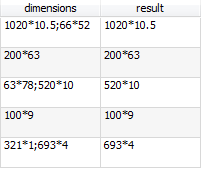 How to transpose reclassified field values from one polygon shapefile to identical polygons of another shapefile? Finding diameter of pipes on either side of valves using ArcGIS Desktop? Copying some values from several columns to another column in attribute table? 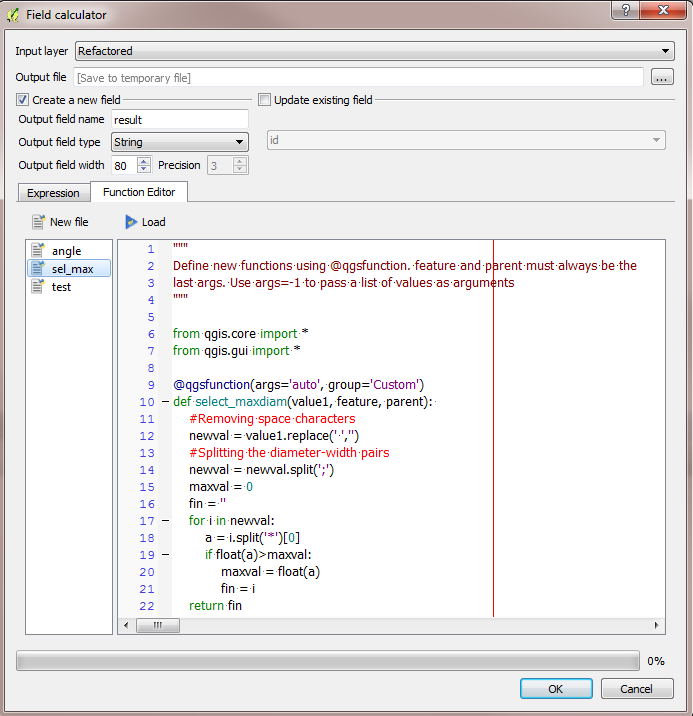 How can my PyQGIS script copy specified attributes from one layer to another? What geodetic reference system is QGIS using when providing latitude and longitude values for points using the field calculator?